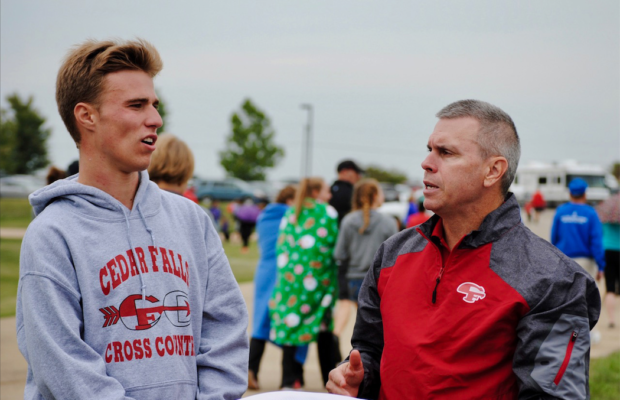 In the fall of 2018, Cedar Falls High School will be without one beloved, award-winning administrator and also see one caring coach hang his clipboard and switch to fill that administrator’s position. At the end of this year, Activity Director and Associate Principal Gary Konen is retiring. After 28 years of hard work, Koenen has left big shoes to fill. He plans to spend more time with family and and take part in activities he loves to do. After 23 years as men’s cross country coach, Troy Becker will be taking the position of athletic director. Unfortunately this means that the 2018 cross country men will lose a coach that “makes everyone feel involved with the team and inspires everyone to be the best version of themselves,”cross country member, sophomore Hollis Wilson said. Accepting the position of athletics director was a bittersweet one for Becker, for if he accepted the position, he would no longer be able to coach men’s cross country, but to Becker, the position has always been on the horizon and has been a long time coming. The cross country team that Becker has been with for 23 years is also experiencing bittersweet feelings at the loss of their coach. “I’m going to miss being around him every day at practice. Seeing coach Becker was always a bright spot in my day,” junior men’s cross country team member Jens Jorgensen said. Along with the feelings of sadness the men’s cross country team is experiencing over the loss of a “mentor and motivator,” the members are also excited for the new opportunity that Becker has dreamed of taking for many years.“My advice for him is to enjoy his new job. Athletic director has been a dream of his for so long, and I want him to enjoy every moment of this new experience. We’re gonna miss having around next year, but I wish him the best of luck at his new job,” Jorgensen said. Becker is also confident that as he steps into this new position he will have Koenen by his side, helping him out. “I feel very fortunate that he is still going to be in the community, and I’m hoping that I can meet with him frequently and ask questions, and he can continue to be a mentor for me. He’s been a good friend, a good mentor and a good leader of our activities. I have learned a lot from him,” Becker said. Becker is confident that all this evolution will be for the best. “Change is hard. We all have changes in life. Sometimes you have to do those things in life, and it’s all a matter of what you make of it, so, I am going to try to be positive with it,” he said. Koenen also embraces his changes ahead, as well as Becker’s. 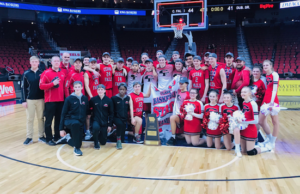 “I’m sure he will have new ideas on ways to make the programs even better, and I have confidence he will do that, and I’m sure I will be helping out a lot more around here too with the activities and with Mr. Becker when he takes over too,” he said.